It may also be a question of budget: what cheaper alternatives are out there? Even if you are already sold on HubSpot, as a Marketing Manager / Business Owner you need to be able to justify why HubSpot, above all other alternatives, is the technology stack you’re about to join at the hip with. There are a bunch of really good articles out there comparing or listing HubSpot alternatives. However, we wanted to do a really deep dive comparison of actual day-to-day features of 4 of the most popular ones: InfusionSoft, Active Campaign, Pardot & Wishpond. Before we dive straight into it, let’s rewind a little and talk about why you’d even bother with marketing automation to begin with..
Why even bother with Marketing Automation in the first place? Interruption marketing is fast becoming a thing of the past. Forget your customers for a second, you personally have likely built a resistance to being actively ‘sold’ on anything. As consumers, we’d rather do our own research and when we’re ready, get our questions answered by brands in our consideration set. For lack of a better analogy we want to do the poking and not be poked when it comes to shopping around. To do this, businesses across the world are taking up inbound marketing. This includes, but is certainly not limited to, providing interesting and helpful content that potential customers are looking for in their own research journey, giving them time to think about it and return for more, getting their contact information, and finally warming the lead down the buyer’s journey to eventually close the deal. To do this right, you need tools. No man, woman or child has the time or psychic ability to drip feed content at the right time or have visibility around what the prospect is interested in. If content is the fuel, a marketing automation tool is the vehicle. It is the vehicle that will help you do inbound marketing tactics like blogging, creating personalised landing pages, and freakishly, automate you marketing by identifying leads, collect contact info, and send the right marketing material to warm them up to buy. HubSpot is the most popular and well-known platform in the small to medium enterprise space that provides inbound marketing software to thousands of companies. They are of course not the only ones in the market. If you’re in your own buyer’s journey you’ve no doubt thought about how HubSpot stacks up against its competition. For instance, how do HubSpot and its alternatives compare in terms of ease of use, workflows, email building, landing pages, and social media management? InfusionSoft is a comprehensive program but it’s not intuitive to learn and get started. 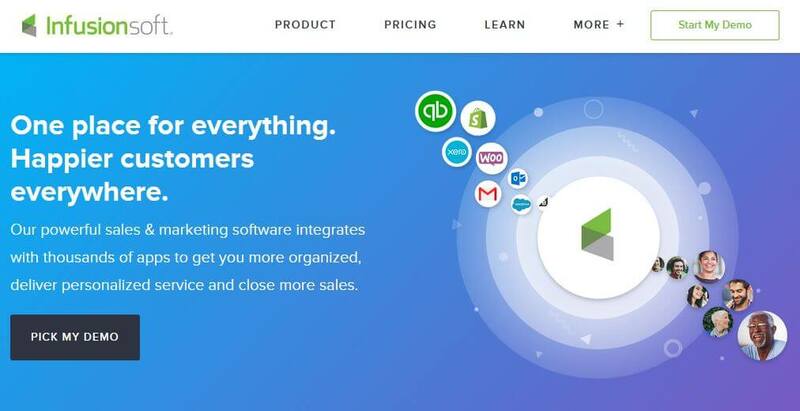 What was once the biggest marketing automation suite in the space – and a program that started before HubSpot – many users feel Infusionsoft has fallen a little behind compared to say HubSpot or Active Campaign. To be completely frank with you, InfusionSoft has been called a few names in the automation playground with Confusionsoft being chief amongst them. Whilst Infusionsoft still has a strong following, many people have found that it takes a long time to get the hang of the software and they charge a hefty price for setup guidance. As far as automation goes, gaining full benefit from its features is possible but requires a long learning curve and can be difficult to master in the short term. The email builder features for InfusionSoft are apt and it does the job but they have not gone out of their way to offer you anything special by way of an email builder. In fact, email marketing isn’t even featured on their product info page and it isn’t something the company is overly focused on. InfusionSoft does feature a landing page creator but again it just does the job. The interface itself does feel dated and lacks inspiration. 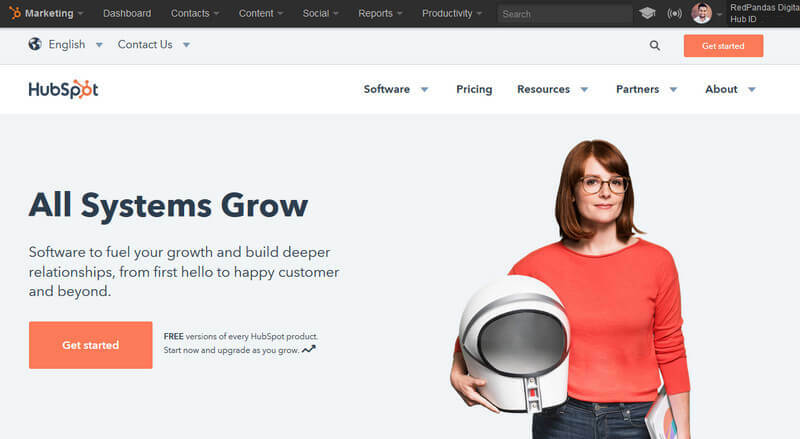 However, compared to HubSpot, Infusionsoft does have a stronger focus currently on e-commerce and the landing page feature for InfusionSoft comes in the form of a customizable storefront for your online store. Infusionsoft doesn’t feature a social media publisher. From a social media standpoint, the only thing you can do in Infusionsoft is broad emails and publish web forms to your social media followers. Initially, we were actually really really excited about this one. 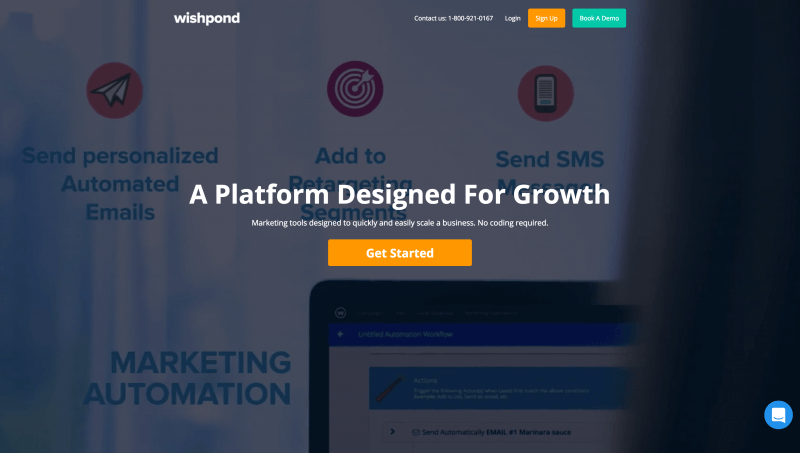 Wishpond tries hard to be helpful and is a great tool for bootstrapped start-ups with no budget, but the many of its features are disconnected from one another and somewhat challenging. Some of their features are named in a confusing manner and the basic plan does not include an API. It is one of the few options without an inclusive CRM and the team collaboration tools leave something to be desired if you will be working with a team. There’s still a lot of promise in wishpond yet and from our light dealings with the Wishpond team, they are constantly listening to user feedback and looking to implement changes in their product roadmap. Potential powerhouse for start-ups in future. Wishpond’s automation does work, however, the interface makes it harder to follow than HubSpot or Infusionsoft that both have more visual branching logic cues. It also has a few notable gaps in the feature set that could leave you hanging. Apart from being harder to navigate through compared to HubSpot, Wishpond actually has a very decent email builder which is slightly easier to use than HubSpot. 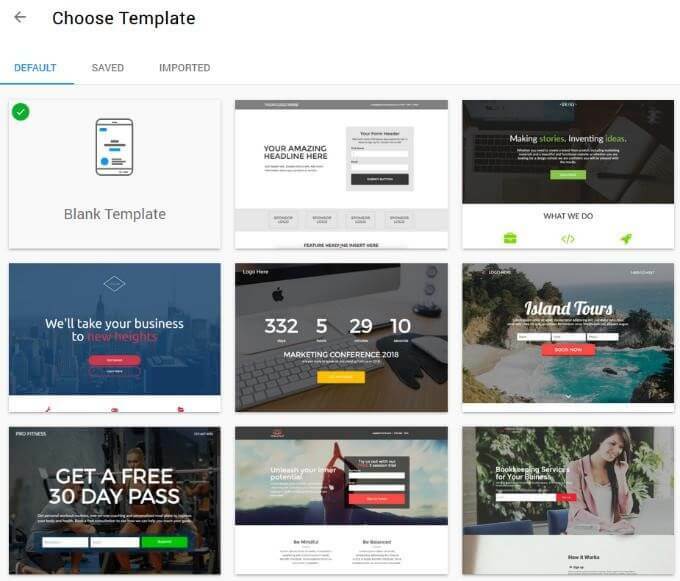 The free template gallery is good and like HubSpot, provides for personalised emails that integrate with their tagging system with a selection of templates based on certain user traits or actions. Wishpond is fairly well applauded for its drag and drop landing page builder design making it easy for web design amateurs to put together a great page. It’s not as backend customisable than HubSpot so is best suited for small business. Wishpond is great for social media, which should be no surprise as they were founded and built with the goal of creating a platform for social media contests. If you want to run contests, sweepstakes, or promotion features, Wishpond is your go-to platform and most of its features are geared toward this. 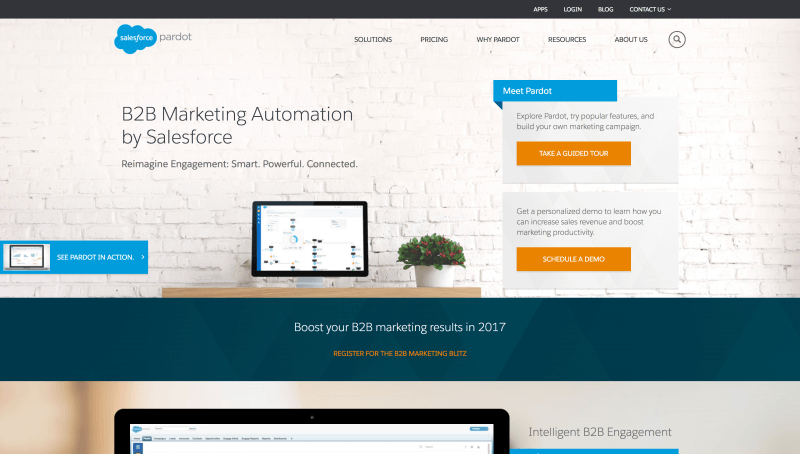 Pardot was bought by Salesforce in 2013 so as you would imagine, Pardot integrates well with Salesforce adding decent marketing intel to the CRM. As for ease of use, the answer is subjective depending on your history with marketing automation and CRM. If you’re familiar with the salesforce ecosystem than Pardot is the clear winner. Like most Salesforce associated products, the dashboard is cleaned and well labelled. However, for someone completely new to either platform, Pardot will appear more technical and longer to master. Pardot is also not the ideal platform for anyone new to marketing or for the small to medium business market. There’s a steep learning curve for non-technical users requiring weeks of acclimation before you start getting results. Pardot’s Engagement Studio is where your automation campaigns are created. 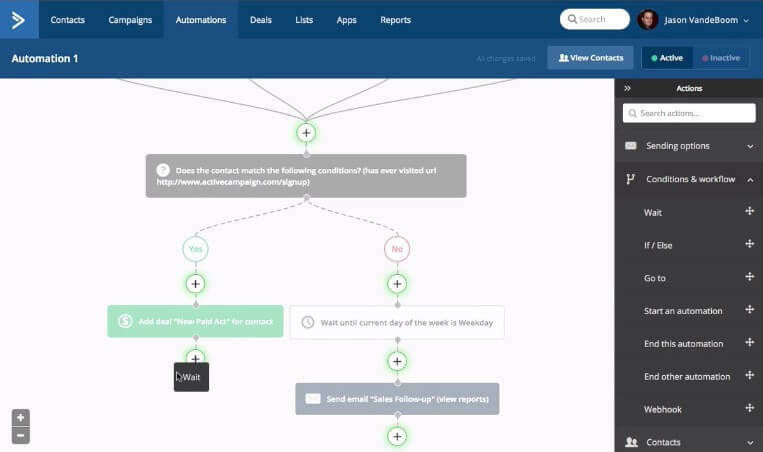 Like HubSpot, the automation builder is visual with branching logic. In terms of getting a workflow built and out the door though, it does take slightly longer with what feels like unnecessary steps of categorising your workflow and figuring what type of lists you will be using. Again, Pardot’s automation power is tied to the it’s smooth integration with Salesforce. If this is your gig, Pardot is a great choice because it is owned and integrated by Salesforce themselves. However, if you don’t need a Salesforce integration, you’re better off looking elsewhere for your marketing automation software. Pardot’s email builder has a reliable “what you get is what you see” or WYSIWYG design and like InfusionSoft does the job without winning any awards. Pardot does offer 39 email templates which should cover most of your email creation requirements and it also allows you to input your own HTML code to create your own email templates. 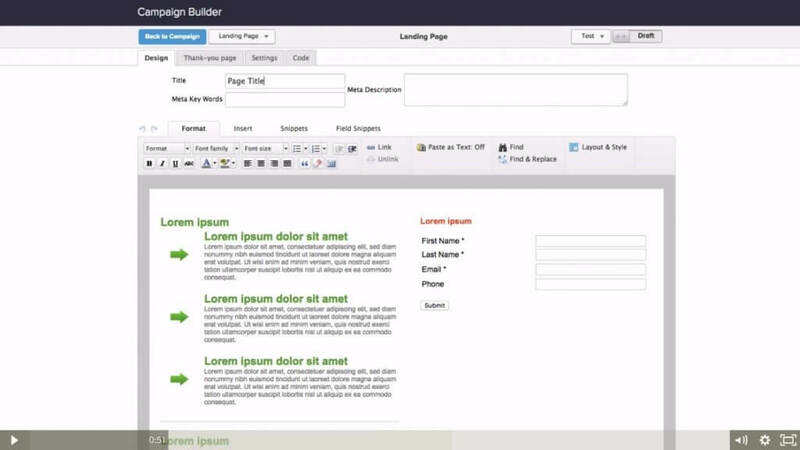 The Landing page designer for Pardot is very similar to their WYSIWYG email builder interface. The review here is therefore the same as our grade for Pardot’s email builder: Does the job but nothing overly inspiring. A common complaint by Pardot users is it is hard to build a really good landing page. It can be overly rigid and not user friendly. 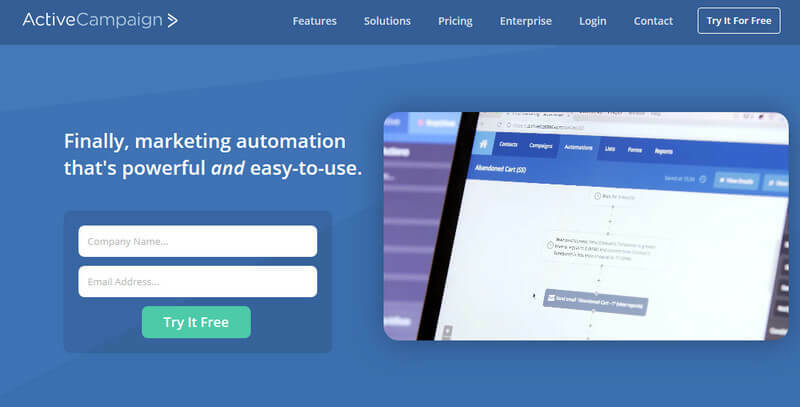 Many Pardot users opt to use a compatible landing page builder like LeadPages and then use Pardot forms within it to complete the integration. 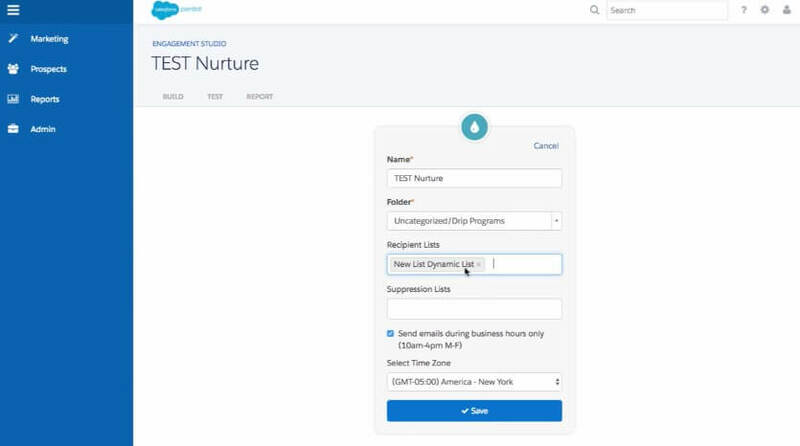 Being a fairly enterprise-level tool, Pardot’s social media scheduling feature is surprisingly comparable to HubSpot allowing you to schedule posts to Facebook, Twitter & LinkedIn. Pardot’s social features tend to be a step behind HubSpot though and the platform does not currently allow you to post on Google + like HubSpot does. Pardot also features very useful reports regarding the interaction of your prospects with your social posts. If it isn’t obvious already, ease of use is a very important factor in the world of marketing automation. You can have the most advanced feature set but if you have to get your staffed trained every time the use the thing, you’ll never get anything out the door. In terms of ease of use, Active Campaign is the closest rival to HubSpot. Active Campaign allows you to run multiple automated campaigns that cover the basics like emails and tagging along with sales productivity management well and easily. 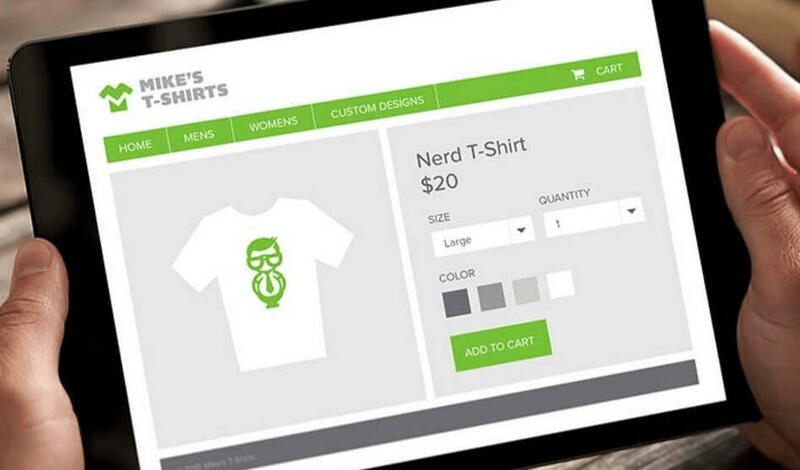 It’s available on several e-commerce platforms and comes with a build-your-own-integration API for custom sites. Despite not being widely known, Active Campaign has very few complaints in the user interface department and requires little training due to its intuitive user interface. Where the interface loses slight points is at the contact record level, it still is clean and easy to digest however HubSpot’s interface does seem more customisable and allows you to digest more information quickly. 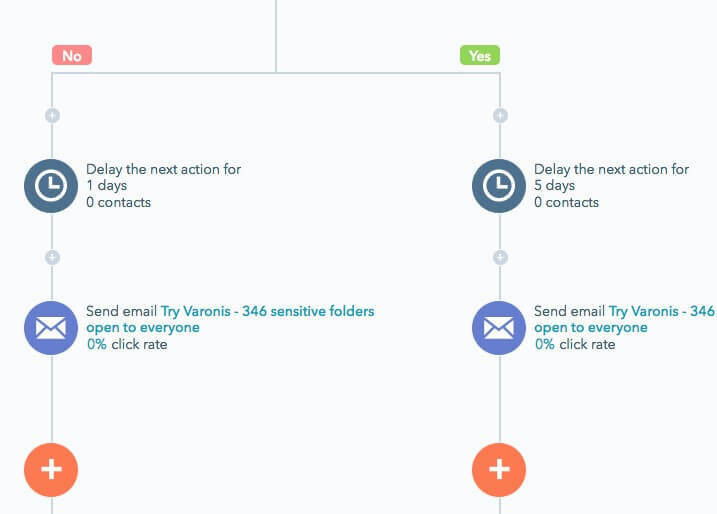 Like HubSpot, Active Campaign’s workflow builder is visual, easy to use and very comparable to HubSpot. It is evident this is an area Active Campaign has invested in heavily to catch up to HubSpot and they’ve done a great job while they are at it. Active Campaign was built originally as an email marketing platform so this is where it shines. While there are only a few starting templates, you can create your own and share them with other users and your own alternate campaigns making a rich pool of community created templates. 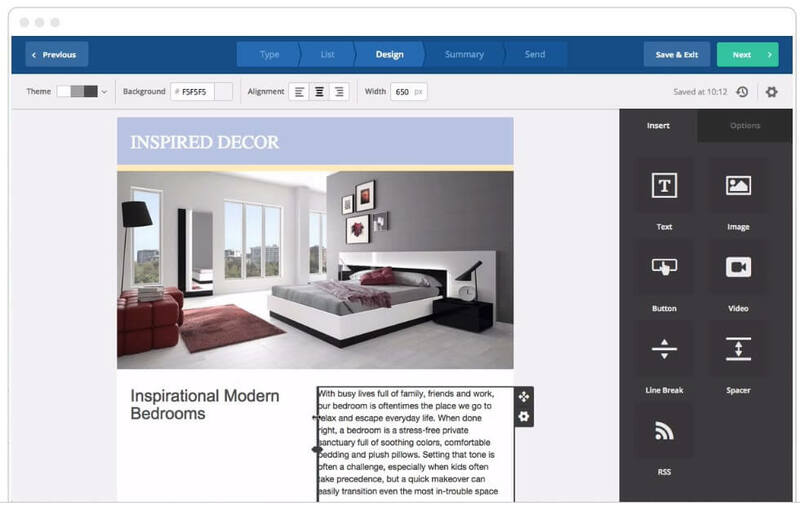 It’s very visual, drag and drop editor requires no code and is easier to use than HubSpot. For some strange reason, Active Campaign does not have a landing page builder which would almost make it a complete and well-rounded HubSpot competitor. There are workarounds though if you are a little techy, the lack of landing page editor can be supplemented by integrating with Unbounce. 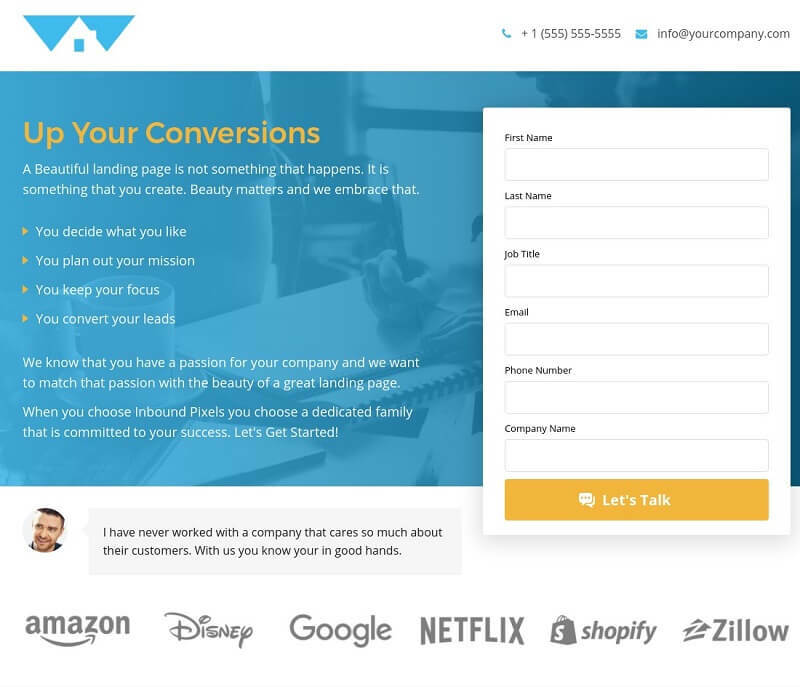 Active Campaign’s lack of native landing page builder is a missed opportunity that often tips many users into the HubSpot camp. Active Campaign features minimal social media features, and is sticking to their email marketing guns by only having limited social media integration to share the contents of campaign emails. Sorry Active Campaign users, you’ll have to invest in another third party system here like hootsuite or buffer. To be fair, let’s dive into the HubSpot system itself and review it on the same areas as its classmates. The first people notice about HubSpot is how easy it is to use and how well integrated the entire toolset is with itself. It’s often referred to as the ‘xero of the marketing automation world’ and deservingly so. Hubspot features a user interface that’s great even for beginners because it’s been built to be dummy-proof for marketers and non-techy types. This makes it easier to use their software and more difficult to make mistakes that throw your whole campaign with a misclick. 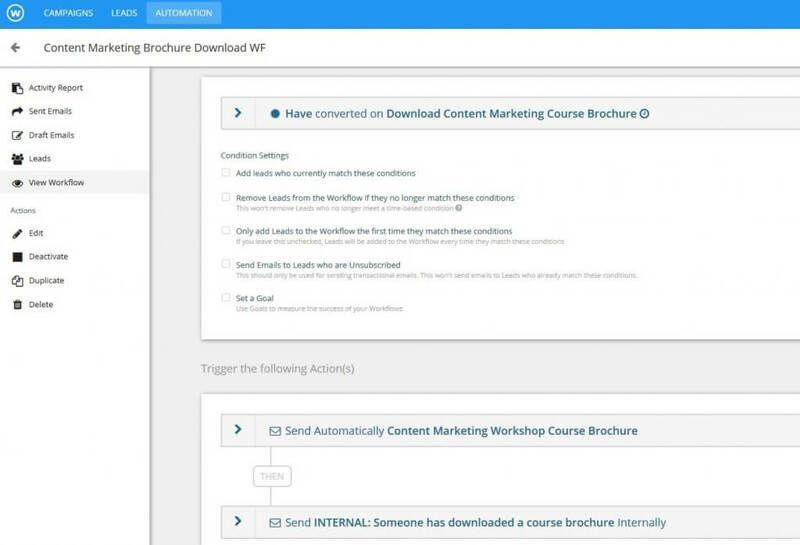 HubSpot’s workflows are without a doubt our favourite feature of the toolset. The seamless flow between a workflow and the ingredient inside of it, say for example emails or landing pages, make it easy to jump in and out of the system as you build. 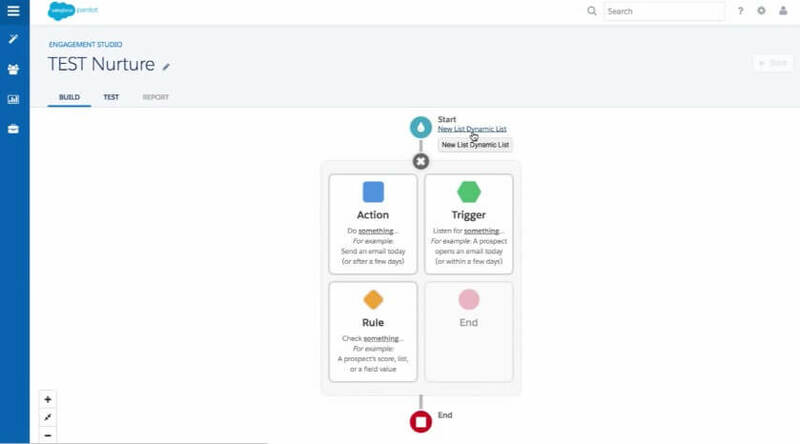 The one edge Infusionsoft had over HubSpot with visual workflows was addressed at Inbound 2016 making this now possibly the best and shortest learning curve workflow editor in its class. Hubspot gives you a great selection of options based on how you want to build your emails ranging easy modules to code-heavy customization. The emails are very easy to create and once you have templates set up, are quick to populate. Outside of basic email designs though, you will require some technical configuration or setup with templates by a technical resource. The Hubspot landing page builder is versatile, reliable, and works for many different purposes. Most notably, you have complete HTML/CSS control with excellent keyword integration. HubSpot’s market place for landing page is also growing at a phenomenal rate and there are plenty of bespoke HubSpot agencies now like RedPandas that can code native HubSpot landing pages for you. What’s also great is the ability to add Facebook pixels and Google Analytics tracking so your Facebook and Google Analytics data is seamless! HubSpot doesn’t have a social competition builder like Wishpond but it more than makes up for it with its constantly improving social media publishing tool. Think of a mini Hootsuite inside of HubSpot. Besides, social media is a daily occurrence where you may only run a social competition every month or so. HubSpot offers a comprehensive social media posting, monitoring, and analytics platform for Facebook, Twitter, Google + and LinkedIn. For you executive summary peeps out there, here is the TL;DR version. 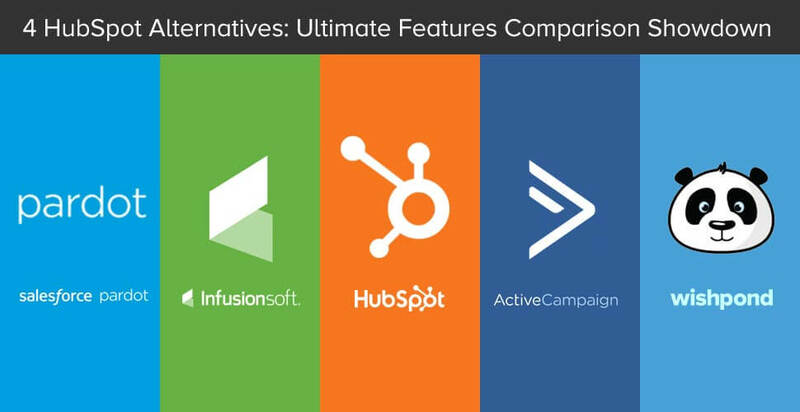 Each of these HubSpot alternatives have worked hard to bring you a unique variety of features and functionality for your inbound marketing, e-commerce, and CRM needs. The alternative you choose should depend entirely on your objectives, features your team is capable of employing and your business size. The alternatives are edging ever so close and increased competition amongst marketing automation platforms equates to further innovation and more robust features for those who use them. However, for a well-rounded, easy to use, and absolutely reliable inbound marketing platform, HubSpot still takes the cake.